Our TARDY BELL rings at 7:35 am. TARDY: Parents are required to personally report to the school office when the student is late for school. ABSENCES: Please call the office no later than 9:00 am if your child is absent. Regular and punctual school attendance is stressed for all students of the Ocean Springs School District. TRANSPORTATION CHANGES: Transportation changes must be submitted in writing to the teacher in the morning by 10:00 am. Changes will not be accepted over the phone. Bus Riders are dismissed at 2:40 P.M. Car riders and walkers are dismissed at 2:50 P.M. Morning Drop Off: Campus Speed Limit is 8 mph! Cars will enter using East Entrance onto campus. Students should only exit cars in the designated UNLOADING ZONE. 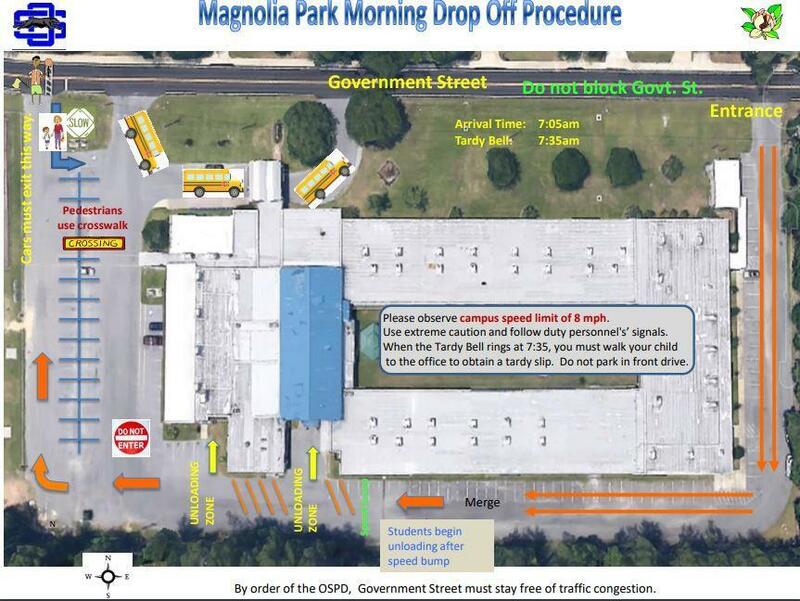 Cars should then exit campus through the far west exit and turn right onto Government St. NO CARS SHOULD ENTER CAMPUS NEAR THE PLAYGROUND - this is NOW the only exit for ALL drivers on campus. 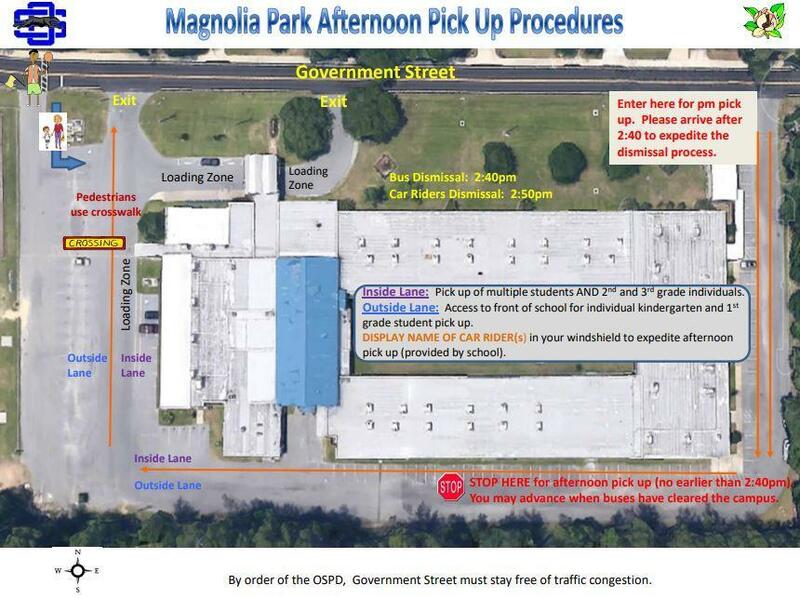 Afternoon Pick Up: the Outside Lane (left side) will pick up at the Front of School for Single Car Riders in K and 1st Grade. Inside Lane (right side) will pick up Side Entrance for 2nd and 3rd Grade Single Car Riders and all Multiple Car Riders (2 or more in same vehicle).